Q: I’m working with a client who suffers from low self-esteem, and I feel like I’ve tried everything. Are there any Buddhist practices that might help? A: While many therapists have begun to incorporate mindfulness into their work, additional Buddhist practices hold potential for helping clients, particularly those suffering from low self-esteem. 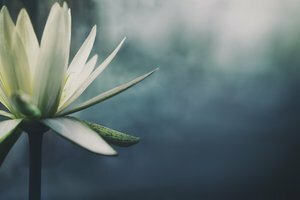 One of the main goals of Buddhist meditation is cultivating compassion and love, and several techniques focus on developing these qualities toward oneself. For example, Joseph, a young software engineer, came to see me to work on disarming his fierce inner critic. As he and I entered the resource-building phase of therapy, I taught him a form of metta (loving-kindness) meditation. This practice dates back more than 2,500 years, and, next to mindfulness, it’s one of the most commonly taught forms of Buddhist meditation. When I use metta practice with clients, I generally begin by asking them to identify an image that easily inspires feelings of love, compassion, and warmth in them. Traditionally, this practice begins with using oneself as the first object of compassion, but for clients with low self-esteem, that can sometimes be too difficult. Many clients have an easier time picturing a baby, an animal, a religious figure, or a benefactor for this first step. The important thing is finding someone or something that naturally inspires uncomplicated and unambivalent feelings of compassion and love. With help, most clients can find an image that works, and can engage with the process. Joseph chose his 1-year-old niece, and I asked him to picture her and allow feelings of love and compassion to arise naturally. I had him remain focused on this step for about three minutes, encouraging him to deepen into the experience by repeating the phrases “May you be happy. May you be healthy. May you be safe.” The purpose of these phrases, which are integral to the way metta practice is traditionally taught, is to help the client connect with an experience of a specific form of unselfish love. Love and compassion can mean many different things in our culture, but the type of love this exercise aims at is a deep feeling of acceptance and support. After some practice, Joseph was able to get in touch with strong feelings of warmth and care toward his niece. Once we’d accomplished this, the next step was to help him direct some of those positive feelings inward. I sometimes think of this practice in terms of fighting a fire: at this point, the client knows how to open the faucet; now it’s time to learn how to aim the hose. Helping clients with low self-esteem direct warmth and compassion inward is often a tricky process. I’ve found that different interventions work for different clients. For Joseph, we began by having him get in touch with strong feelings of love toward his niece and then turn that love toward himself while saying the phrases, “May I be happy,” and so forth. As soon as we started this, however, he was immediately overwhelmed by his inner critic. This is a common occurrence with clients who suffer from low self-esteem. I asked him to tell me what his critic was saying. He said it was saying things like, “How could you ever deserve love? You’re despicable.” Rather than trying to argue with this voice or ignore it, we did exactly what this type of meditation traditionally recommends in cases like this: we made the inner critic the object of Joseph’s love and compassion. This tactic is a departure from how many therapists have been trained to deal with self-criticism, but I believe that it can be an incredibly useful tool. In most styles of Buddhist meditation, connecting with the body is important for connecting with feelings. To transform a feeling, we start by bringing it up and sensing it in the body. Once it’s present in our awareness, we begin to inquire into its nature. There are many ways to do this, but with therapy clients, I’ve found that asking questions or offering sentence completions can be highly effective. The skill of asking the right question or offering the right sentence completion takes a great deal of practice, but from a Buddhist perspective, the most important thing about the exploration process is that you’re coming from a place of compassion toward that feeling. Joseph said he felt it in his chest. Asking questions that assume the feeling has a positive purpose is part of inquiring with compassion. Before this, I’d learned that Joseph’s mother had been diagnosed bipolar and had been highly emotionally unstable; however, I didn’t fully understand exactly how that fit together with his self-criticism. I asked Joseph if there were any specific memories coming up for him, and he told me about a time when he was 5 or 6 years old, when he’d proudly showed his mother a good report card, and had been ridiculed by her. His mother said he thought he was better than everyone else. I empathized with Joseph, and we then spent some time just sitting with all of the feelings coming up in him. Once he felt ready to move on, I asked him to get back in touch with the self-critical voice in his chest. When he said he could feel it, I asked him to try saying, “Thank you for trying to keep me safe from Mom. I know you’re trying to help me.” He immediately started crying, and said he felt a huge relief. He talked about feeling reunited with a part of himself that had been cut off. I suggested that, between sessions, every time he noticed the self-critical voice, he express this kind of gratitude for its desire to protect him. As we continued therapy, we’d spend time each week with this practice. He’d begin sending love to his niece, and then shift to himself. When his inner critic flared up, he’d say, “Thank you for wanting to protect me from Mom,” and after just a few minutes of repeating this phrase and listening for any response, it would fade. Then he’d return to sending love to himself. Over time, he became adept at using compassion to disarm his inner critic, and had a much easier time loving himself. Metta practice is an important and helpful part of the way I work with clients. Observing its potential to help clients move through problems that had appeared intractable has convinced me that the practice of offering love and compassion to problematic inner parts could be a significant contribution to the way we conduct therapy, both for our clients and ourselves. This blog is excerpted from "A Buddhist Approach to Helping Low Self-Esteem" by Tim Desmond. The full version is available in the March/April 2012 issue, Taking the Measure of Psychotherapy: Today's Realities, Yesterday's Dreams. This segment on compassion has been especially helpful to me personally as well as a tool to use with clients. The use of conversation with the inner critic and offering thanks and compassion for its contribution to promote healing of low self esteem is a revealing concept. I appreciate this being presented.